Store in a cool, dry place for 1-3 months if not refrigerated. If refrigerated, shelf life is up to 6 months. This product is certified Kosher Pareve. 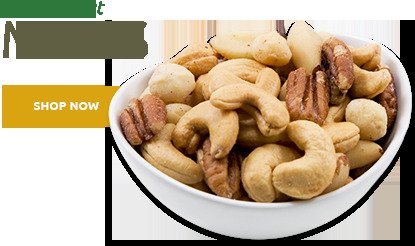 They are absolutely delicious and very addictive, our Honey Roasted Cashews are made only with the very best honey and are always a family favorite. 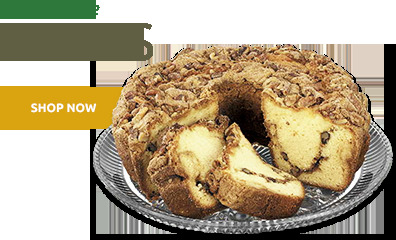 Our Superior’s Honey Roasted Cashews are guaranteed to please friends, family, and anyone else lucky enough to try them! Honey Roasted Cashews - Reclosable Bags - 16 oz. Allergy Information: Contains Cashews. Contains Cashews. This product is produced at a facility producing peanuts, tree nuts, milk and soy products. May contain peanuts, milk, soy and other tree nuts. 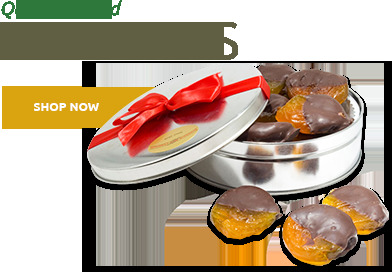 Choose our Gift Tins, Gift Boxes and Gift Baskets as the way to send Holiday greetings from your company to clients, associates and friends. Our Corporate discounts are available on orders of $600 and more; we offer a 5% discount on orders above $600 (Coupon Code "Corp05"), a 10% discount on orders above $1,500 (Coupon Code "Corp10") and a 15% discount on orders above $5,000 (Coupon Code "Corp15"). Corporate discounts cannot be combined with other sales and/or promotions. Your gifts can be shipped to one location or to multiple locations using our Multiple Addresses checkout option. 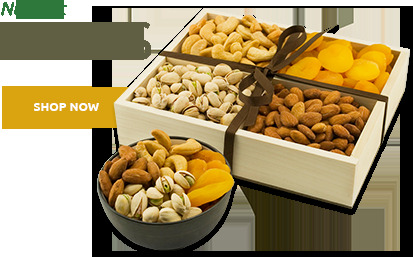 If you prefer, you can also e-mail us your address list using our corporate order form to corporate@SuperiorNutStore.com and we will be happy to drop ship your gifts for you. We can also include a Personalized Greeting Card at no additional cost. Shop now and we'll ship you order when you want; simply note your preferred delivery date at the checkout. Need to send a Greeting Card with your Gift! Not a problem, you can add a Greeting Card with a custom message at no additional fee. Greeting Cards can be added during checkout. With our standard delivery service, orders ship within 1 business day. Orders shipped UPS Ground arrive in less than 6 business days to most locations. If you are concerned about your orders arriving in time for a holiday or special event, please take advantage of our Express Shipping. We offer Next Day Air, 2 Day Air and 3 Day Select. Check our Shipping policy for more information. Note: It's never too late to let someone know you're thinking of them. But if it's too late to get your gift there on time, send an E-Certificate! All you need is the recipient's e-mail address and we'll do the rest. Your gift will arrive in their inbox a matter of hours with your personal message (or on a date of your choosing). It's perfect for last minute purchases. 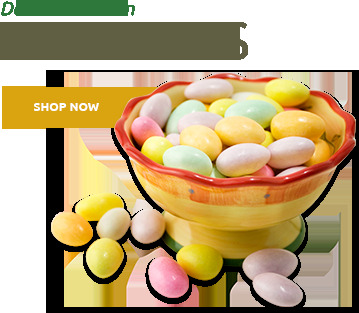 Due to the perishable nature of our chocolate and candy, we take special care to ensure delivery in perfect condition. If the temperature in our area or yours is above 70F, we only allow shipping using expedited methods (2 Day Air and 1 Day Air) and each box is packed with special insulation and gel ice. There's $5 charge added to the shipping fee to cover for the cost of the added insulation and gel ice. During the summer months, to prevent chocolates and candy from sitting on a truck over a weekend we only ship chocolates and candy Monday, Tuesday and Wednesday. These are good but not sure if they are $10.50/pound good. Absolute pleasure to buy from. Fast shipping too. The nuts taste great. Thank you. Bought a one pound bag for the holidays and they didn't last long after opening. The flavor was just right. If I had known they were going to disappear so quickly I would of purchased another bag. These Honey Roasted Cashews were no where the quality I've come to know and expect from Superior nut. The cashews says that they are roasted but tasted stale or at the very least like they were boiled for way to long. Wasted my money as I could not stand the texture of these cashews and threw them out. I was having trouble finding the honey roasted cashews at the stores. My husband and I really love the cashews. I'm very satisfied with the size and taste of the cashews. I will purchase more when we finish the bag. Thanks. 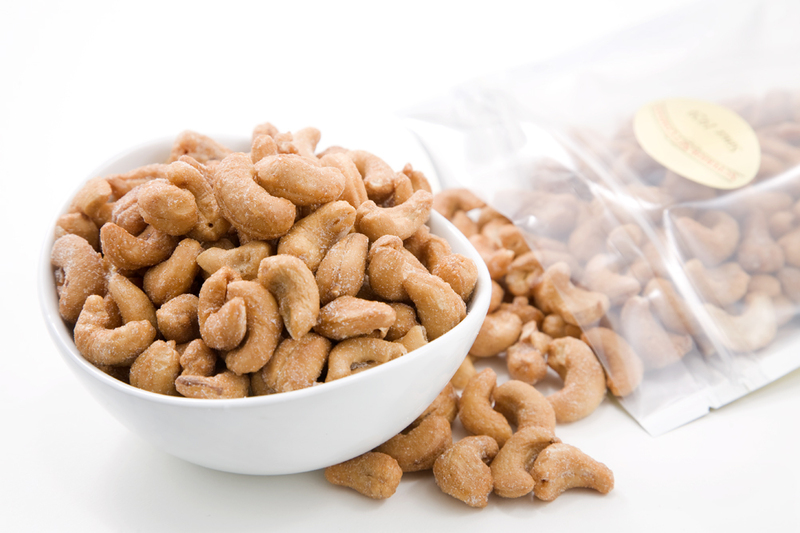 I've been serving these Honey Roasted Cashews at special occasions and giving them as gifts for years. Everyone says they're the best-tasting nuts ever. Highly Recommended. This is my first purchase from Superior Nut Company and I am very pleased. I wanted something to snack on when I have to miss a meal for some reason and need a quick boost to keep me going. I shall certainly buy more. I have had many cashews. These are the best I have ever eaten. The taste is not to be compared to any other. They are THE BEST EVER. fresh (nothing worse than stale cashews!). Excellent Service. I really like these honey roasted cashews. The nuts are large and have just the right amount of sugar and salt on them. Very good and would order again with my next outing, or gathering. Very good and liked everything about them. Excellent sweet snack, a lot of coating on the nuts. Recommended. The nuts were great as usual but this is the first time Iâ€™ve gotten the honey roasted variety and I wasnâ€™t impressed with it. Not enough honey or sugar flavor. Sorry Superior, first time it wasnâ€™t perfect. These are good, but I still prefer the plain cashews.